How Can I Build Muscle Without Gaining Belly Fat? Please do NOT get caught up in nonsense like force-feeding yourself more calories or eating more carbs to increase your muscle size. Even though there are benefits to protein shakes, it would be best to stay away from them, too. * The guys who build muscle the fastest are either completely untrained, or they are on steroids. The rest of us have to put in the hard mental and physical effort. * Get your diet under control. Get rid of all sugar foods. Get rid of all fatty foods. Fresh fruits, vegetables, nuts, and SOLID protein sources must become the staples of your diet. * You CANNOT get big fast without getting FAT fast. Building muscle means you are in for the long haul. * Focus on building strength, NOT your muscles. Change "How can I build muscle?" to "How can I build more strength this month?" The stronger you become, the more weight you are able to handle, the more muscular you will become. * Despite what you hear about cardio, you MUST include high intensity interval training workouts. They build lean muscle mass. The more lean you are, the more muscular you will look. There is NO one magic workout to help you build muscle. You must continually change them to push your system. Fundamental, multi-joint lifts are the key. Many guys find success with brief hardgainer routines. 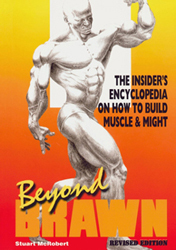 Our best resource to answer "How Can I Build Muscle?" How can Caveman Eating help you build muscle?